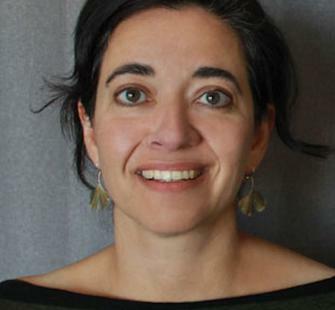 A Senior Lecturer in the Division of Literatures, Cultures, and Languages, Cintia Santana specializes in 19th and 20th Century Spanish literature, particularly in the cultural relationships between Spain and the United States. Her research interests include transatlantic and translation studies, representations of immigration in contemporary Spanish literature, and the theory and praxis of the Latin American and Spanish short story. Her book, Forth and Back: Translation, Dirty Realism, and the Spanish Novel (1975-1995), was published by Bucknell University Press in 2013. Her short stories, poems, and translations have appeared in Beloit Poetry Journal,Gulf Coast, Kenyon Review, Harvard Review, Linebreak, Michigan Quarterly Review, The Missouri Review, Narrative, Pleiades, RHINO, Spillway, The Spoon River Poetry Review, The Threepenny Review, and other journals. She is a CantoMundo fellow and a recipient of a Djerassi Resident Artist Program fellowship. Her poem, "Qasida of Grief," was chosen by C.D. Wright as the winner of The Sycamore Review’s 2013 Wabash Poetry Prize. Mary Szybist selected Santana's work for the Best New Poets 2016 anthology.